Getting dropped off for the @goldenglobes. Security checked glove compartment, arm rest and trunk of my @uber. I wonder if Clooney bringing his wife to #GoldenGlobes is equivalent of guys introducing wives to their old, embarrassing college friends? 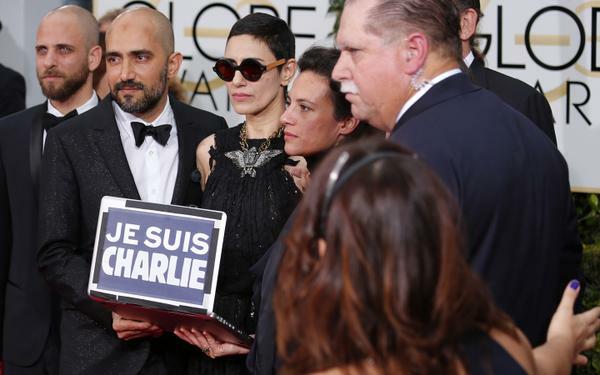 I wonder if Amal's inner monologue on this red carpet is, like, a policy paper on women in conflict zones. Worst dressed #GoldenGlobes: Rosamund Pike, Kate Hudson, Heidi Klum, Jessica Chastain and Sienna Miller (over the plunge front) who else? 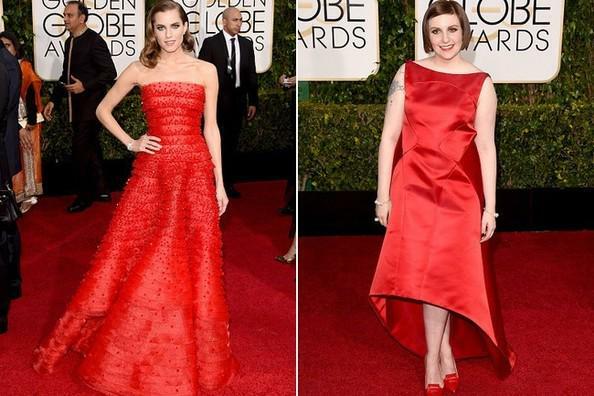 Best dressed #GoldenGlobes: Julianne Moore, Lorde, Allison Williams, Claire Danes, Amal Clooney...who else? Boyhood shd win drama & Birdman comedy at #GoldenGlobes. So unless Selma or Grand Budapest stage an upset, we'll get no new Oscar momentum. The #GoldenGlobes are about to begin. Tweet us your thoughts throughout the show! Tina Fey says everyone at Globes is there to celebrate "All the movies that North Korea was OK with." Damn, Tina Fey and Amy Poehler throwing THE INTERVIEW under the bus.